Researchers from the University of Melbourne, Australia, and the University of Padua, Italy, have recently presented a development that offers futuristic printing technology. The new development is based on lasers instead of conventional ink, and it could provide users faster printing and higher quality. The recent paper, submitted by Jacek Jasieniak and his colleagues to the Australian Commonwealth Scientific and Research Organization (CSIRO), describes liquid inks based on quantum dots that can be used to print devices. According to their study, these quantum dot (QD) inks will transform our use of light in the home and office. Quantum dots are made of semiconductor material grown as nanometer-sized crystals, sized at approximately a millionth of a millimeter. The laser color produced is selectively tuned by varying the dots’ sizes. 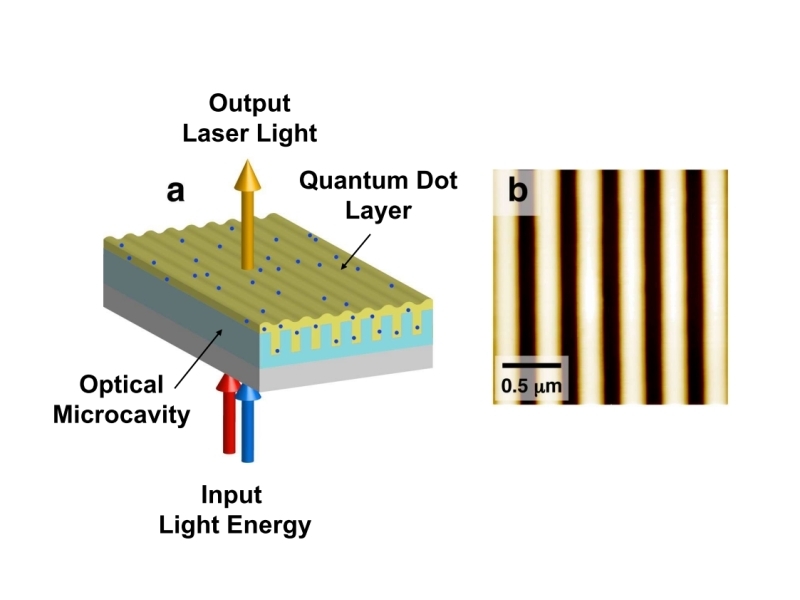 While the theoretical concept sounds simple, its implementation was the main challenge: To build a laser using quantum dots, one needs to place them within a structure known as an optical cavity. 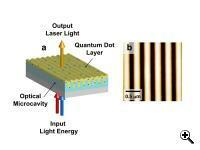 This structure acts to amplify the light that is produced by the quantum dots to produce the laser. When asked about benefits derived from his development, Jasieniak said: “The tiny lasers generated using such an approach are highly efficient and can be adapted for numerous applications.” One of the major benefits this nano-structured optical cavity offers is better effectiveness during the printing process by controlled indentation or scratching of the material’s surface. Jasieniak’s research has significant implications on other fields besides lasers. For instance, future technologies that use liquid inks can now develop printable components. One of the examples proposed by the team is the production of thin-film solar cells, an area that Jasieniak is also currently researching. TFOT has also covered the Xerox Inkless Printer, which has the potential to cut printing costs and reduce office paper usage dramatically, and the world’s first green toner, developed by PRC Technologies. For more information about lasers and printing, see the original press release.